The Wine Country wildfires are estimated to have destroyed about 2,800 homes so far, or about 5 percent of Santa Rosa’s housing stock. The current property damage approaches $4 billion. With rents and home prices already growing robustly, there will be further pressure on prices given the region’s already tight inventory. City and county building permit processes will be key to the Wine Country’s recovery. An attitude of optimism anticipates the rebuilding process. Unfortunately, wildfires are a harsh reality of living in California, especially during the month of October. Thousands of fires burn throughout the state every year, but October seems to be the deadliest. Historically, six of California’s seven most destructive wildfires have happened in October. According to CAL FIRE data, before the Wine Country fires started last week, there were more than 6,000 fires recorded in California year to date, with almost 480,000 acres burned. On average over the last five years, about 4,400 fires occurred on 201,360 acres of land between January and October. CAL FIRE estimates that 12 large wildfires have rampaged through California over the past 10 days, killing 41 people, burning more than 245,000 acres, and destroying an estimated 5,700 structures. In Santa Rosa, about 2,800 homes have been destroyed, which amounts to about 5 percent of the city’s housing units. Even at the current numbers, which are not final, the Wine Country fires are more devastating than the Bay Area’s last big wildfire, which happened in the Oakland Hills in October of 1991. That fire destroyed 2,900 structures on 1,600 acres, killing 25 people and injuring 500 more. The damage was estimated at $1.5 billion in 1991, which in current dollars amounts to $3.4 billion. While it is difficult to assess how long it took the affected Oakland communities to completely rebuild, the process began about six months after the fires. According to a story in the Los Angeles Times, “the city streamlined the building-permit process for fire victims … and 18 months after the disaster, huge new housing developments were well underway.” The recovery took about four years, but according to U.S. Census Bureau data, not all units were rebuilt. In two ZIP codes that were impacted, 94618 and 94705, there were 86 fewer units in 2000 than there were in 1990. Nevertheless, while not all residents returned, some of those who did took the opportunity to build larger homes. Before the fire, most homes in the Oakland Hills were built in the 1920s and 1930s and had two or three bedrooms, with a median value of about $300,000 in the early 1990s. When the new homes were rebuilt in the mid-1990s, with five and six bedrooms and three-car garages, the median home value jumped to more than $700,000. Today, the median home price in those neighborhoods exceeds $1 million and ranges up to $4 million. And despite the continuous danger of fires reigniting in the area, it remains a desirable place to live. Those who did not return sold their charred land to investors, who built massive homes that are now selling at multimillion-dollar prices. There are many lessons to learn from the Oakland Hills fire, and many comparable stories will emerge from the disaster in the Wine Country. Multiple challenges exist in Northern California’s current housing market. Specifically, in Sonoma and Napa counties, for-sale inventory is extremely low and new construction is insufficient to meet buyer demand amid strong economic conditions and an influx of buyers who are looking for relatively more affordable housing than they can find elsewhere in the Bay Area. In September, the median home price reached $587,000 in Sonoma County and $614,000 in Napa County, according to MLS data. Besides Contra Costa County, which had a September median sales price of $571,000, the two North Bay counties offer homes at half the price of San Francisco, Silicon Valley, and Marin County. Strong demand for affordable units led to an average 15 percent year-over-year decline in for-sale inventory of homes priced below $1 million in both counties. In contrast, higher-priced inventory has been growing, especially in Sonoma County. However, there are definitely more willing buyers than available homes in the Wine Country. In the two counties combined, the months’ supply of lower-priced homes (less than $1 million) is only about 1.5 months, which means that at the current rate of sales, all available homes available would sell in less than two months. A balanced real estate market requires at least six months of supply. New construction in the region has picked up, and there are about 1,500 total new housing permits projected in 2017 for Sonoma and Napa counties combined. However, with 1,800 households also expected to migrate to the region, supply hardly meets demand. 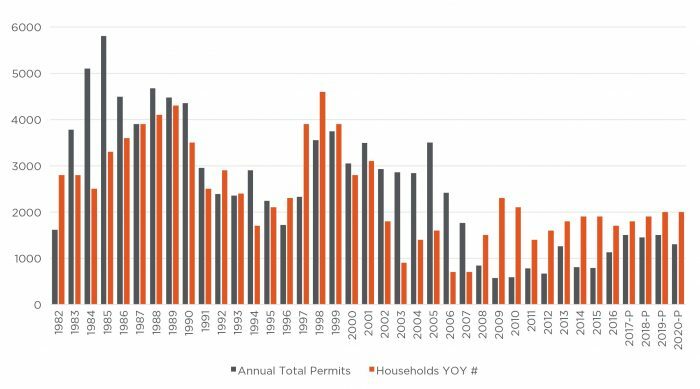 Figure 1 illustrates the year-over-year change in the number of households and the annual number of total building permits issued. In Sonoma County, current construction levels are at half their average of about 2,300 since the 1980s. Also, in the last 10 years, Sonoma County added little more than 10,000 new units for the 18,000 households that moved in during the same period. At the current rate of new construction of 1,200 new housing units built in Sonoma County per year, it would take about 2.5 years to replace the 2,800 properties that have been destroyed by the wildfires. It will be crucial for the city of Santa Rosa and Sonoma County to streamline the building-permit process for fire victims, as Oakland did following the 1991 fires. Nevertheless, homes prices in Sonoma County continue to appreciate at a robust rate, despite analysts’ expectations of slowing. According to John Burns Real Estate Consulting, median home prices in Sonoma and Napa counties were expected to increase by about 5 percent in 2017. September median home prices in the two counties showed 8 percent price growth year to date. Granted, the increase in median home prices could be driven by more sales of higher-priced homes than occurred last year, but nevertheless, it represents the available inventory and is representative of the situation that Wine Country homebuyers face. While it may take more time and additional analyses to fully comprehend the fires’ impacts on the North Bay housing market, heightened demand for homes is already being felt in the region and is pushing up rents at a striking pace. Anecdotally, Pacific Union real estate professionals have already experienced increased demand for rental units — even offers from insurance companies that are willing to pay exorbitant prices for active listings. For example, one Pacific Union listing that previously rented for $4,000 received an offer for $13,000 per month from an insurance firm. Another listing was offered $18,000 per month for a one-year lease. Demand in neighboring Marin County communities has also increased over the last week from displaced Wine Country families. The question is how sustainable this type of demand is and what most displaced families who cannot afford such prices will do. Sonoma County’s rental market was already tight, with only about a 3.5 percent vacancy rate, and one-bedroom apartment rentals in Santa Rosa averaged $1,636 before the fire. And unlike Houston or Dallas, which were recently affected by hurricanes, California has in general been undersupplied with new housing for decades. According to an analysis by the McKinsey Global Institute, California’s supply gap is already at 2 million units, and that number is projected to increase to 3.5 million by 2025. What is the longer-term impact on the Wine Country’s economy and housing markets? As the Oakland Hills incident and other California wildfires have shown, it takes communities about a year to return to some level of normalcy. However, all of those housing markets recovered, and some developed into higher-priced neighborhoods with larger homes. 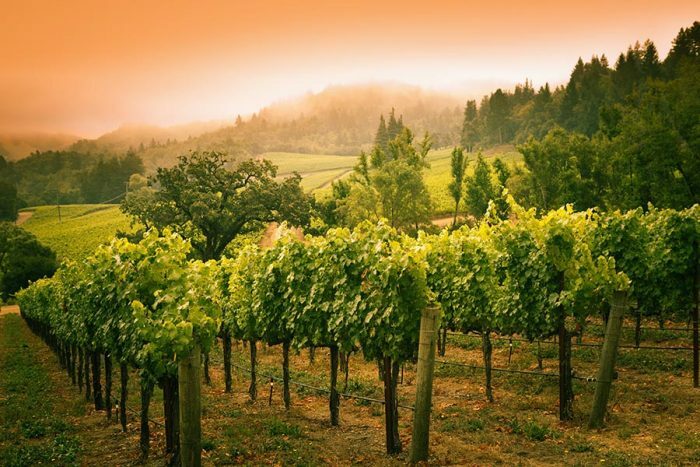 Sonoma and Napa counties are some of the most desirable locations to live in the state, and the persistent demand over the years has shown that people are often willing to take a risk to live in a beautiful location, even if the property insurance comes at a higher cost. Existing Sonoma and Napa county residents have already shown incredible resilience and a desire to rebuild their communities.